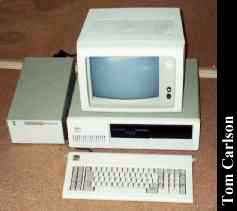 We bought the XT in 1982 or 1983, our first PC, an upgrade from a dumb terminal that we used for word processing -- we did that by connecting to a STAR minicomputer in downtown Lansing via an $1200 1200 baud modem (which was bigger than the 20 meg hard drive on the XT). 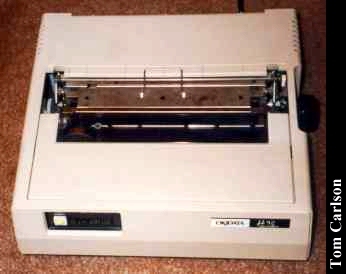 Along with the XT, we bought one of the worst Okidata printers and a brand new word processing program, which the salesman confidently told us was "destined to be the best" -- Wordperfect! Probably one of the few times in our lives we made the best choice! For more information on this relic, including current uses, check out the CLONES page. Click here to view all comments for the IBM XT PC and to leave your own.